Ohio University Press, 9780821422595, 288pp. In We Do Not Have Borders, Keren Weitzberg examines the historical factors that led to this state of affairs. In the process, she challenges many of the most fundamental analytical categories, such as “tribe,” “race,” and “nation,” that have traditionally shaped African historiography. Her interest in the ways in which Somali representations of the past and the present inform one another places her research at the intersection of the disciplines of history, political science, and anthropology. 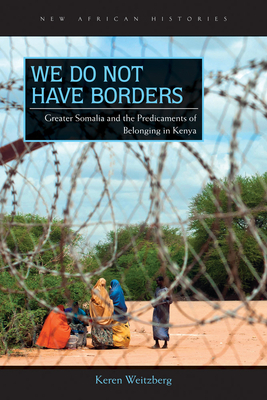 Given tragic events in Kenya and the controversy surrounding al-Shabaab, We Do Not Have Borders has enormous historical and contemporary significance, and provides unique inroads into debates over globalization, African sovereignty, the resurgence of religion, and the multiple meanings of being African. Keren Weitzberg is a visiting assistant professor in the Department of Africana Studies at the University of Pennsylvania, where she is also affiliated with the Lauder Institute of Management and International Studies.